With the anime now alive and well, it's possible that The Disappearance of Nagato Yuki-chan will also stay alive and well in manga form. 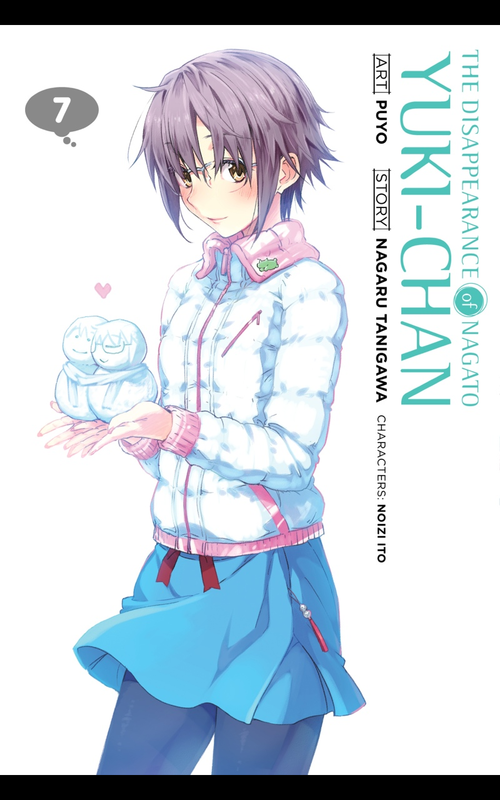 These volumes are really spread out over time (only eight releases over five years) so it is easy to forget, but The Disappearance of Nagato Yuki-chan does have several charms to make it a manga worth keeping up on. Volume seven brings it all back home. It is Christmas time and the members of the Literature Club want to celebrate Christmas in their own special way. Asakura Ryoko wants nothing more than Kyon and Nagato to finally become an item. And want better time for couples to really become couples than Christmas? Thanks to a fateful encounter with his sister after he boldly invited Nagato over to play a video game, Kyon now knows that Nagato likes him. The old "I overheard my sister and Nagato talking" bit always works. Kyon isn't sure what to do. Does he like Nagato, too? Has he always liked Nagato? How long has Nagato liked him? Yup, Kyon has finally transformed into the dense protagonist from every single romantic comedy that we all knew he would become over time. A Christmas party thrown by Tsuruya seems to be the perfect time for Kyon to get his emotions in order. Nagato, too. They will both be there. after all. It's only a matter of time before one of them confess their feelings. Who will it be and how will the other respond? I haven't watched the start of the animated series yet, but there's definitely promise for it if it is like the manga in any way. It doesn't exactly break the mold, but it's nice to see the shy characters get the limelight every now and then. I'm looking forward to volume eight. Whenever the hell that will be released. P.S. 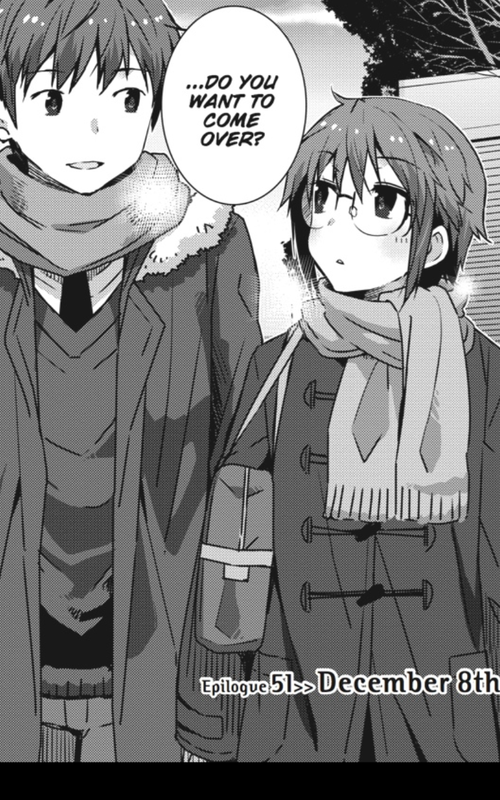 - For some reason there is an interlude of shorts at the beginning of this manga. I thought those were rather pointless, but other than that this was one of the better volumes in the series.